Whilst we may consider the widely used ‘float’ glass to be clear – it isn’t actually as clear as you may think! Believe it or not it isn’t actually the most transparent glass you can get – low iron glass is. Bear with me – things will become clearer soon… trust me – I’m a professional glass artist! Regular readers of my blog will know I have chosen to work with glass due to its natural beauty and incredible versatility. 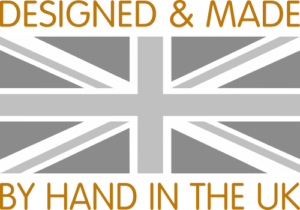 This is demonstrated in the diverse range of products I produce, from glass house number and name plaques to exquisitely engraved indoor lights and external sculptures. Lately I have received a number of enquiries regarding low iron glass, especially for my illuminated options of house number and name plaques. As this may be due to the additional light making the slight colour difference slightly more apparent, I thought I would use this months’ blog to explain how it differs from the more widely known clear, or float glass. The eagle eyed amongst you may already have noticed that the more widely used float glass has a greenish blue tint; this is due to the higher levels of iron impurities it contains – this becomes more noticeable when compared alongside low iron glass. Low iron glass, as the name implies, is not affected by these high levels of iron-oxide so does not give off this discolouration and subsequently offers a more pure clarity. We take for granted now that glass can come in a range of shades, shapes and sizes. It has numerous uses and is also extremely eco-friendly as it can be recycled an infinite number of times. The main difference between float glass and low iron glass is that the composition of the actual glass has been altered resulting in an even clearer transparency. By reducing the level of iron found in float glass you also remove iron-oxide impurities that give it a greenish blue tinge that becomes even more apparent the thicker the glass gets. This low iron glass is much better for colour matching due to its increased transparency and gives a much brighter and purer refraction of light. Low iron glass isn’t necessarily a more superior glass to float glass; it just provides a clearer edge and subsequently a more pure whiter finish to the engraving so it really does depend on the finished look the client is wishing to achieve. It is really a case of personal preference whether to use float or low iron glass, both have been in existence for a long time. I can use either when making my glass house number plaques and name signs; they are all made to the highest standard with each one is hand crafted by myself to ensure a unique finish on every order. I have noticed an increase in clients requesting their house number plaques written out in letters rather than the traditional number form and, as with all my products, I am happy to discuss your specific requirements – whether that be float glass or the clearer low iron glass and work with you to achieve exactly the end product you desire. All my glass products are handmade to order and are guaranteed to be of far superior quality and offering greater longevity compared to cheaper acrylic versions. My glass and slate house numbers and name plaques truly are the sophisticated choice for the discerning homeowner.